Unless you�ve been living under a rock somewhere for the last several years, you�ve probably heard about the health benefits of eating fatty fish or taking fish oil supplements. Well, it looks like you might be able to add fat loss alongside the other benefits like heart, blood (cholesterol/triglycerides), brain, skin and joint health (and the rest of the list, which is too long to print here). It should be noted that the study was supported by the Seafood Plus organization and there were some limitations in the design that could have influenced the subject�s compliance. The second study, conducted at the University of South Australia and published in the American Journal of Clinical Nutrition (2) investigated the effect of combining fish oil supplements with regular aerobic exercise. The fish oil groups were given 6 grams of high DHA fish oil per day, which contained a total of 1.9 grams of long chain omega-3 fatty acids. The exercising groups performed aerobic exercise three days per week for 45 minutes. Unfortunately, there was a limitation in this study as well: The food intake of the subjects was self reported, which is known to be notoriously inaccurate. 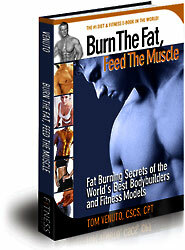 There have been several other human studies on fish oil and fat loss in the last ten years or so and the majority of the findings have been positive. The research is compelling and there have been numerous, and very plausible mechanisms of action proposed. However, more and more often, I am hearing people in the health, fitness and nutrition industries making some pretty bold and I daresay, premature and outrageous claims about what fish oil can do for fat loss; claims which are not supported by the research. Small sample sizes, short study durations, statistically insignificant results, lack of randomization, no control groups, imprecise body composition testing, measurement errors, self-reporting of food intake, low compliance control and fish industry or supplement industry-sponsored bias. Even if you take the results of the existing research at face value, the fat loss really isn�t all that impressive - an extra pound here, an extra kilo there. Many of the research results barely reach statistical significance, and you even have to wonder if these small improvements in fat loss are simply correcting omega-3 deficiency or fixing omega-3 and omega-6 imbalance� therefore, will they continue over a longer time period or is this a one time improvement? One of the earlier studies showed the same kind of measurable but modest results: The fish oil group that took 1.8 grams of combined EPA/DHA daily lost 2 pounds and the non fish oil group lost only 0.7 pounds after 3 weeks (3). 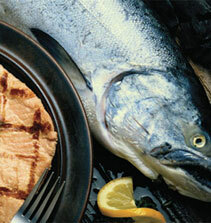 Of course, you�ll probably take all the fat loss help that you can get, and since there are already enough good reasons to eat fatty fish for cardiovascular disease prevention and other health benefits, it�s really a no brainer to eat fish such as salmon, trout, mackerel or sardines at least twice a week. (By the way, with the exception of King Mackerel, these are species which have not been reported as having problems with mercury contamination). 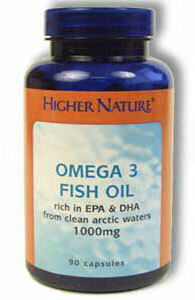 Alternately, you can use a fish oil supplement to get the equivalent in omega-3 fatty acids as found in the fish. Non fish eaters or vegetarians can use flaxseed oil, a plant-based source of Alpha Linolenic Acid (ALA) which converts in the body to EPA and DHA (the efficiency and amount of conversion has been a subject of controversy, however). Most fish oil capsules come in 1,000 mg size at a 30% concentration, so if you took five 1000mg capsules a day, that would give you 1.5 grams of EPA/DHA; about the same as you�d get in 3 ounces (85 g) of salmon. Another tip: Don�t fall for the �premium price� necessarily means better quality party line. Quality and purity are important, but you can get molecularly-distilled, mercury, PCB, Dioxin, Organochlorine-free, 3rd party tested-to-meet-label-claims fish oil for less than ten bucks per bottle of 400 (one gram) capsules� yet I have seen �fish oil gurus� selling the exact same thing for $50 to $60 claiming that everyone else�s products are �contaminated� and �inferior� in quality. If that�s true, then I�d like to see those products submitted to consumer lab for voluntary 3rd party independent analysis and head to head comparison on purity AND cost effectiveness. If they come out superior and cost effective, I will gladly publicize the results myself. The bottom line is it looks like fish oil may be a legitimate help to your fat loss efforts, especially when combined with exercise, as there may be an important synergy there. 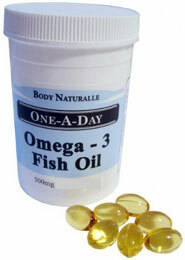 However, the idea that fish oil is some kind of miracle fat burner is just not true. Like Mulder on the X-files, �I want to believe�� but we need much, much more research before we can say for certain exactly how much body composition improvement you can really expect from eating fatty fish or taking fish oil supplements.